From April 2012 to April 2013, respondents to the 2013 ERC/NOCHE Intern & Recent Graduate Survey have hired interns or recent graduates from well over 100 higher education institutions. Familiar local names such as University of Akron, Kent State University, and Case Western Reserve University top the list at more than 20 organizations each, but a plethora of smaller colleges and out-of-state institutions are also listed. In terms of recruiting, the past few years have consistently demonstrated a commitment to online recruiting methods, particularly for interns. Since 2011, posting jobs on college or university career center websites has remained the most common source used to recruit both interns and recent graduates. 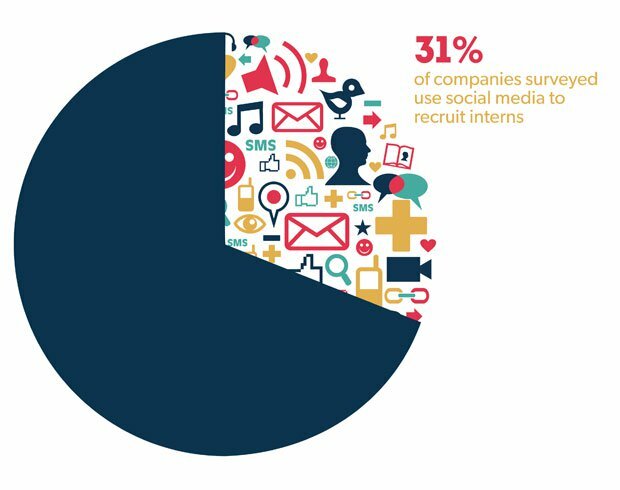 Among the various online methods listed, social media recruiting saw the largest increase for interns from 2012 at 22% to 2013 at 31%. Despite this growth, social media still lags behind most other online recruiting methods reported. Interestingly, organizations appear to be slightly less reliant on strictly web-based methods when seeking out recent graduates than they are for interns. For example, organizations rank networking based human interactions such as building relationships with professors, making contacts with alumni of colleges and universities and internships themselves higher overall for recruiting recent graduates than for interns. Once potential candidates have been identified, the criteria used to make hiring decisions focus primarily on the candidate’s major, professionalism, work experience, and interpersonal/communication skills. Major stands out as the top consideration for both interns and recent graduates, but appears to hold more weight in the eyes of employers for interns than for recent graduates. For recent graduates, work experience is second in popularity by only 5%, whereas professionalism ranks second for intern hiring decisions- used as a criterion by a full 11% fewer organizations. Typically, the criteria listed above are used to narrow the field of candidates down to 1-3 interns (44%), with the exception of larger organizations (over 500 employees) where 60% of these organizations are looking to hire more than 10 interns each year. For recent grads, exact numbers of new hires are not gathered, but 57% of employers surveyed in 2013 indicate that they are either in the process of hiring or plan to hire new graduates. 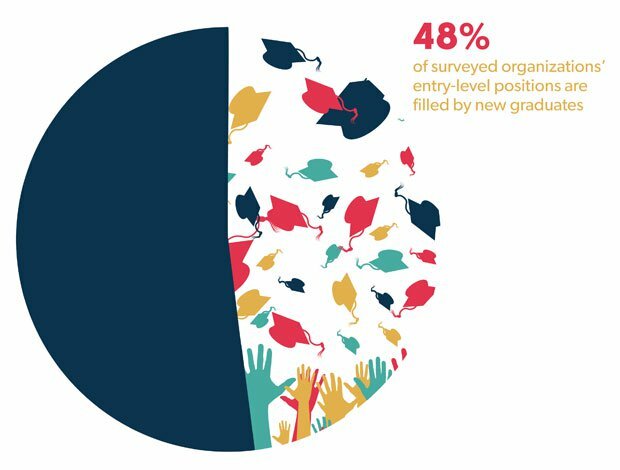 In addition, organizations report that 48% of their entry-level positions are filled using new college graduates.